Charlotte Richardson from Dodd & Co, Carlisle tells us of her account of what it is like to sleep under the stars in aid of the Cumbria Community Foundation. ‘When a round robin email was sent around the office asking who would like to sleep under the stars with nothing but a sleeping bag as cover in the middle of February, I thought they were crazy!!!! The big sleep was a charity event organised by the Cumbria Community Foundation raising money for the elderly who often have to make a choice about whether to heat or eat. It was held in a field behind the Low Wood Hotel, Windermere on 15 February. A group of eight employees from Dodd & Co madly agreed to this challenge. After an awful week of storms and torrential rain (fortunately for us the Saturday evening weather calmed) we arrived for the sleep with our sleeping bags in tow. Once we had chosen our preferred pitch we were invited to help ourselves to soup and stew provided by the hotel, to warm us through for the long night ahead. A large screen cinema was created behind the hotel for us to take our camping chairs and blankets to watch a film in the great outdoors. The Goonies was an excellent choice, where we could relax and nibble on the popcorn provided in our many layers of clothing. When the film came to an end at about midnight, the majority of the 170 participants ranging from 7 to 70 decided it was time to hit the sack. Quite literally! Two colleagues and myself got comfortable in our sleeping bags with a sheet of tarpaulin covering us to protect us from any rain and shield us from the wind. Surprisingly it didn’t take long for us to nod off. After what seemed like hours, I suddenly woke up, convinced it was home time, it was only 03:50. My claustrophobia reared its ugly head and I struggled to escape from the many layers of blankets, sleeping bag and tarpaulin. Once I had broken free, I realised I had a good few hours before breakfast, and needed to get my head down again. The next thing I knew, there was a lovely smell of bacon butties wafting my way I couldn’t believe I had slept until 06:45. It didn’t take us long to get up and dash over to join the queue for tea, coffee and butties. We had survived, and to my surprise it wasn’t as bad as I first thought although I did have soup layers of clothing. Write a cheque payable to: Cumbria Community Foundation and write ‘Winter Warmth’ on the back. Send it to: Cumbria Community Foundation, Dovenby Hall, Dovenby, Cockermouth, Cumbria, CA13 0PN. 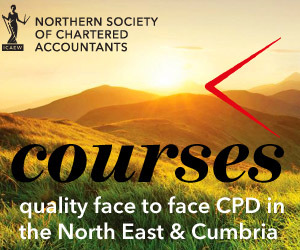 Cumberland Society of Chartered Accountants is a branch of the Northern Society of Chartered Accountants (NorSCA) which represents ICAEW members working in business and the finance profession across the North East of England, Teesside, Northern Yorkshire and Cumbria. We have been assisting businesses in the north of England and producing chartered accountants for over 130 years.